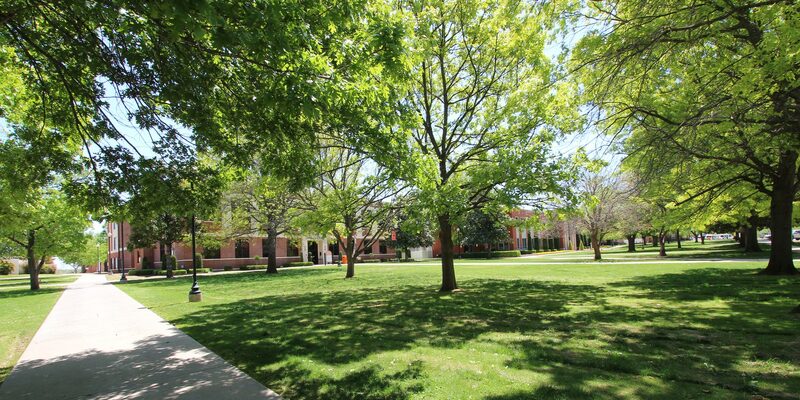 Welcome to East Central University’s colleges and schools! Choosing your area of study may be one of the most difficult or simplest decisions for you. At East Central University, we want to help you reach your full potential, accomplish your goals and enjoy your time as a Tiger. Explore the areas of study offered at ECU. In the College of Education and Psychology, students study Education, Kinesiology, Psychology, or Family and Consumer Science. Graduates can become teachers, coaches, psychologists, counselors, child caregivers, pursue careers in foods and nutrition or retail merchandising, or continue on to graduate school to pursue a higher degree. The College of Health and Sciences seeks to advance scholarly and creative endeavor through excellence in teaching, research or creative activities, and service. Areas of study include Biology, Chemistry, Environmental Sciences, Mathematics and Computer Science, Physics and Nursing. A variety of pre-professional programs are also offered including pre-physical therapy, pre-dental hygiene, pre-engineering and more! ECU Tigers that have earned a bachelor of science through the College of Health and Sciences have pursued careers as doctors, engineers, nurses, software engineers, applied mathematicians, cartographers, and conservationists. The College of Liberal Arts and Social Sciences offers a large variety of areas of study as it includes the School of Fine Arts. This particular college takes a student-centered approach inside and outside of the classroom, providing quality instruction and producing research and creative work. Students have the opportunity to study the traditional liberal arts and social science disciplines of art, communication, English, history, music, political science, sociology and theater along with applied programs in counseling, criminal justice, legal studies, mass communication, services to the deaf, social work, and water resource management. We also offer an interdisciplinary program in Native American studies and a general studies program designed to serve adult learners. At the Harland C. Stonecipher School of Business, areas of study include accounting, business administration, marketing, finance, management, general business, and management information systems. The Stonecipher School of Business is located inside the newly constructed Chickasaw Business and Conference Center, featuring many computer labs, finance labs, a moot courtroom and several lounge areas. The School of Graduate Studies offers six masters degrees with 16 options, five of which are completely online. Degrees offered include a Master in Management, Human Resources, Education, School Counseling, Sports Administration, Criminal Justice, Library Media, Water Resource Policy and Management, and Clinical Rehabilitation and Clinical Mental Health Counseling. Pursue your higher degree at ECU! Are you interested in nursing? The School of Nursing is housed in the College of Health and Sciences. Looking for Fine Arts? The School of Fine Arts is located within the College of Liberal Arts and Social Sciences (CLASS). Apply today, enroll, and become a Tiger!